Quebec carrots will likely wrap up slightly earlier this season. “With the extreme hot weather we had this summer, the total tonnage of carrots in Quebec is less than normal,” says Mario Cloutier of Groupe Ethier Inc. in Mirabel, Que. He notes supply is down approximately 20 percent compared to a regular year. “And it’s taking more tonnage to be able to sort and pack a good quality pack carrots,” he adds. Along with the hot summer, Quebec also underwent a very wet and cold fall which also affected the crop. “In the second week of September we had an early frost and we were fighting during the whole fall against this frost and water,” says Cloutier. 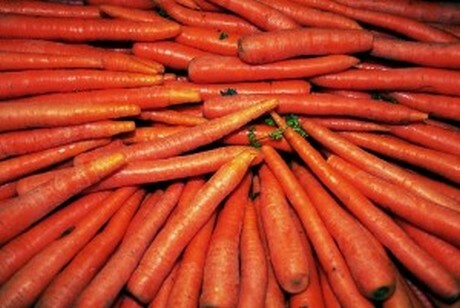 He estimates Quebec carrots should be done at the end of March, even with jumbo carrots though he notes that foreign supplies of jumbos have already started arriving from China and Israel. Mexico is also ready with its supply of jumbos. “So overall we won’t have a shortage,” says Cloutier. At the same time, demand is solid for the vegetable. “Everybody is supplying as much as possible to the chain stores and to export,” he says.